Diwali is round the corner and there is festivity in the air. There is something magical about the festivals. The spirits soar high and there is so much excitement everywhere. I make sweets at home every Diwali. Idea is to enjoy the process as much as the product. Homemade sweets are far more hygienic than the store bought ones and the purity of ingredients is also guaranteed. Kids lending the helping hands is a bonus and the whole process becomes a family event, a celebration. 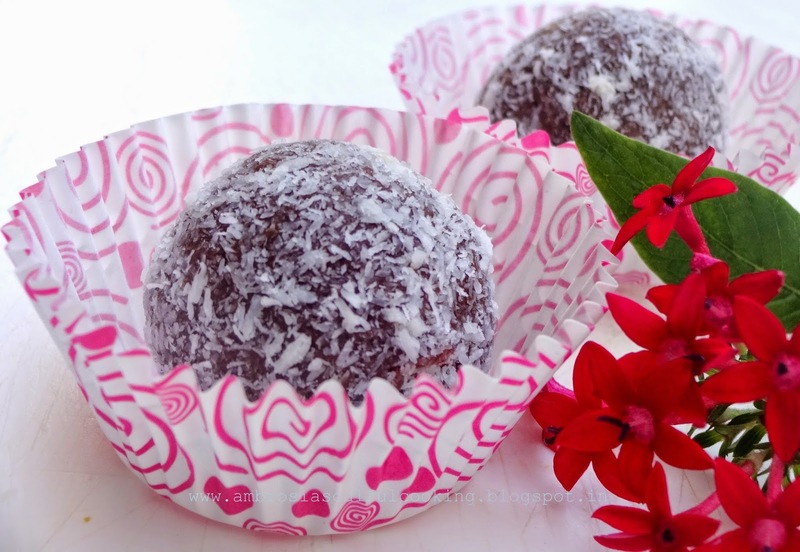 We made coconut laddus at home yesterday. 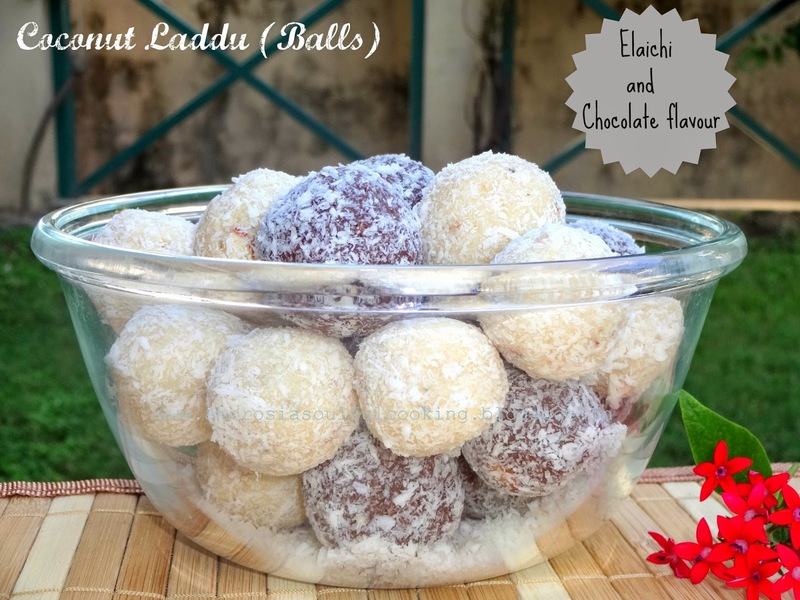 We made elaichi flavoured laddus and then experimented with chocolate flavour. Both the batches came out well. Empty condensed milk in a thick bottomed steel wok. Add desiccated coconut. Mix well. The mixture should be thick. Cook the mixture on low flame. Keep stirring continuously so that it is evenly cooked. The mixture will start leaving the sides and collect in the center as one big lump. Turn off the heat. Add cardamom powder and chopped almonds. Mix well. Apply ghee or butter in your palms and roll out mixture into medium size laddus (balls). 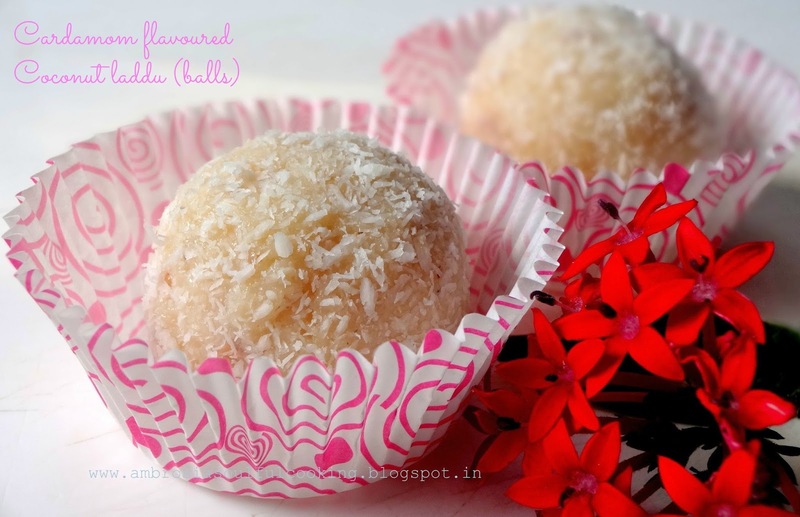 Roll the laddus (balls) in desiccated coconut. Cool and store in airtight jar. Empty condensed milk in a thick bottomed steel wok. Mix cocoa powder and milk to form a lump free paste. Add the paste to condensed milk and mix well. Add desiccated coconut and salt. Lovely recipe !! 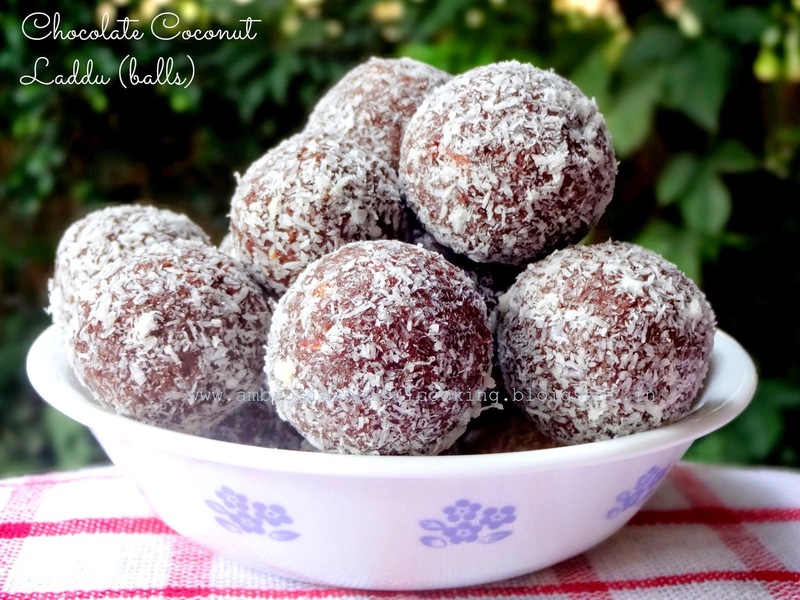 Can I use dry shredded or fresh coconut instead of dessicated?